Decision Time Ministries is a Christian Charity organisation whose purpose is to preach the Gospel, work on a regular basis with the Homeless and the poor, providing soup runs and giving warm clothes, food and sleeping facilities. 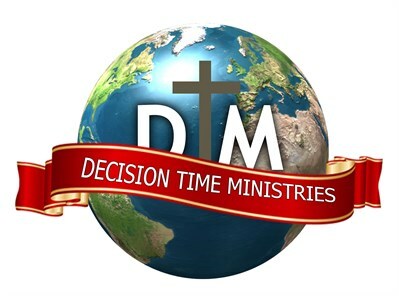 We travel internationally to help those people who suffer in diverse places, please see our website and social media for details www.decisiontimeministries.co.uk. We believe that compassion is needed all over the world and as we are able, we help people with practical and spiritual issues in a God fearing manner.